Last minute picnic or lunch to prepare? 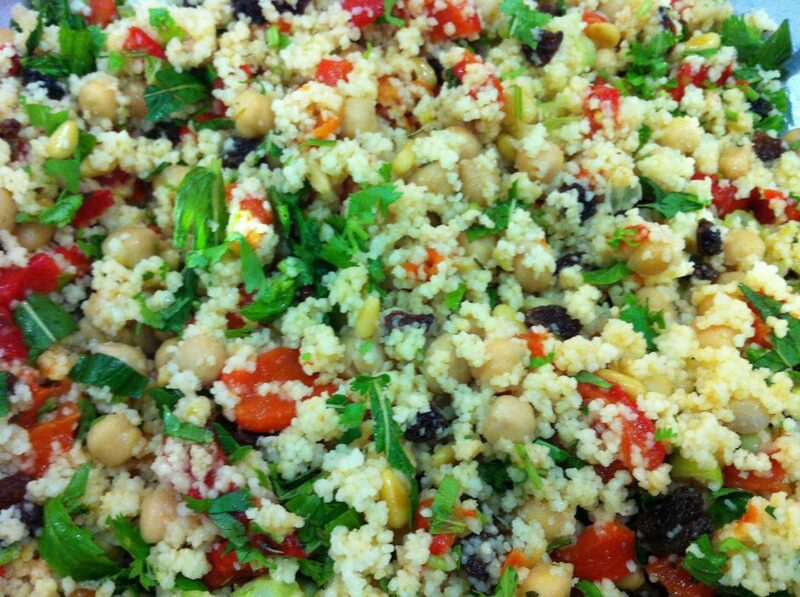 Try my Morroccan couscous salad! Prepare couscous and add sultanas, roasted capsicum, toasted pine nuts, chickpeas, chopped coriander & mint. When ready to serve toss through some baby spinach & rocket and cherry tomatoes. Dress with red wine vinegar & evoo spiced with ras el hanout or cumin will do nicely. Season well and enjoy! To make gluten free replace couscous with quinoa.